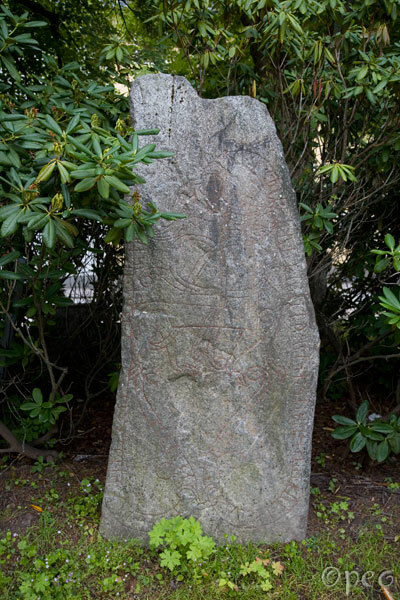 Ingibjôrn and his brothers had this stone raised in memory of Ígull, their father. May God help his spirit better than he has deserved. Tíðkumi carved these runes. Brynjulfr(?) and Hrefningr(?) 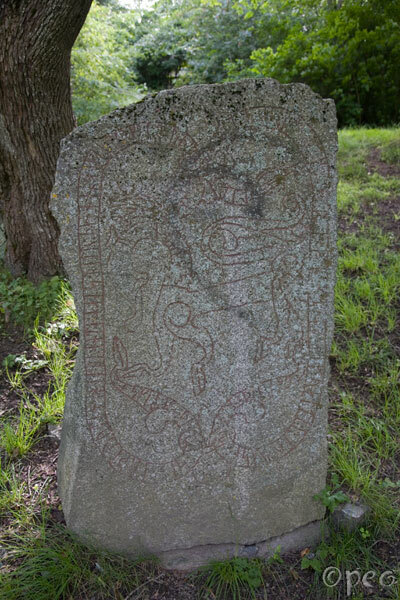 and Sigvaldi had this stone raised in memory of Ásgeirr, their father. May Lord God help his spirit better than he has deserved. Tíðkumi carved these runes.